Ontarios Living Legacy (program) is the most comprehensive, long-term program of natural heritage protection in the provinces history. For more than six decades, the O.F.A.H. has worked to ensure present and future generations can enjoy the province's lakes, streams, forests and wildlife. This is a bandwidth hungry site but has lots of information. Canadian Firearms Centre. Here you can find informtion about bringing your firearms into Canada. Non-Resident Firearm Declarations can be downloaded and filled out before you get to the border. Examples of offences that fall within this area are DWI/DUI and theft under $5000. 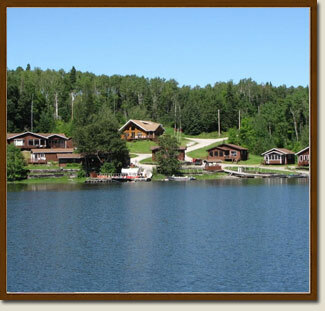 We have taken this information from the NWOTA (Northwestern Ontario Tourist Association) site. While we believe it is correct please check with a Canadian Consulate or a Canadian Immigration Centre. The phone numbers for the Canada Immigration Centres at Fort Frances and Thunder Bay are given on the link.